According to the traditions of the construction of Orthodox churches, Chapel of the Transfiguration in the village of Tahko-Tours is located on the top of a hill. Construction was started in July 2013 and was completed in late December of that year. 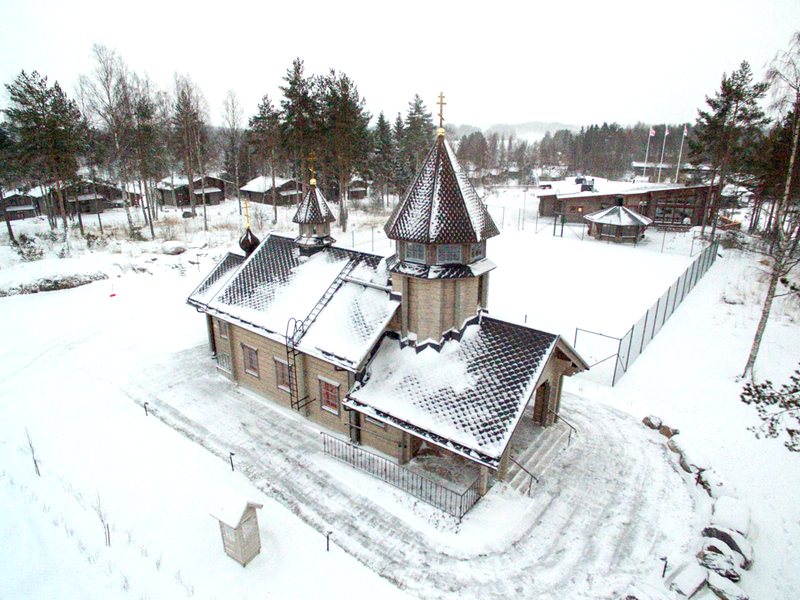 In August 21, 2013, Archbishop of Karelia and Finland Leo, has carried out the ritual consecration of the chapel construction. The Finnish construction company HONKA, which later has carried out the all construction, designed the project of the chapel. The chapel was built of Finnish wood. The chapel is open to all visitors on request on weekdays 10:00 – 16:00. Please contact reception.